James was born and raised in Arkansas, spending his teenage years working at his family’s resort on Lake Ouachita, before attending the University of Arkansas. He and his wife K-K have been married since 1985 and have 2 children, Ryan and Katherine. There is no greater joy to James and K-K than spending time with their children. 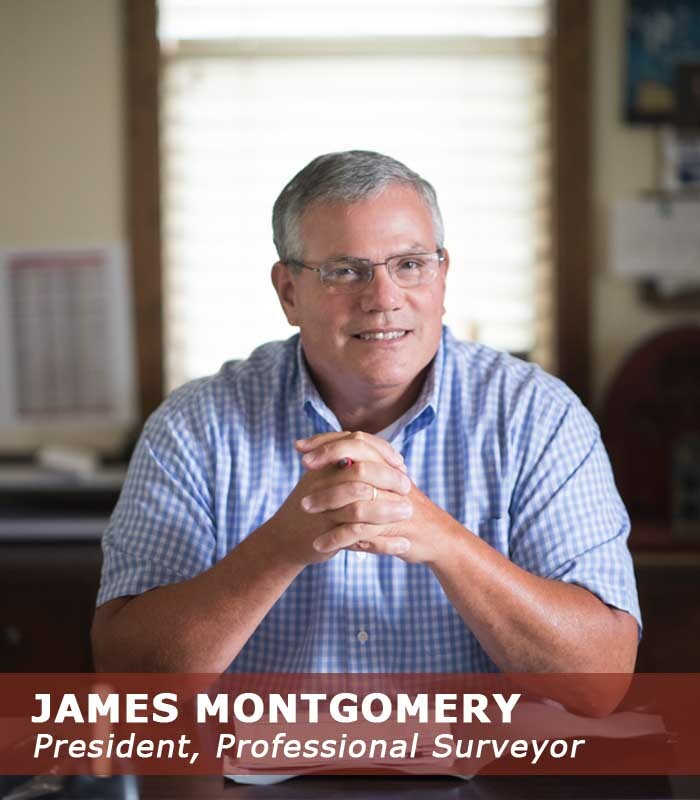 James graduated in 1983 from the University of Arkansas and has practiced land surveying for over 30 years. One of his most significant project experiences was working for the Texas National Research Laboratory Commission in the late 1980’s and early 1990’s on the U.S. Department of Energy’s Superconducting Super Collider (SSC) project in Waxahachie, Texas, south of Dallas, mapping parcels of land along the 54-mile elliptical ring that included surface and subsurface land acquisition. The SSC was one of the largest scientific instruments ever contemplated; however, the project was cancelled in 1993 due to budget problems during construction after $2 billion had been spent. James believes strongly in community involvement working together to make Hot Springs/Garland County a better place for all. It is not difficult to find James planning and aiding in outreach with our local Optimist Club, Boys and Girls Club, as well as the Hot Springs Chamber of Commerce. In addition, he is a dedicated supporter of the Arkansas Razorbacks and a diehard Dallas Cowboys fan. He loves hunting in west Texas for deer/quail/turkey and spending time on the beach in Florida with K-K. He has even completed the Cowtown Marathon in Fort Worth, Texas three times. Kansas Society of Land Surveyors, Missouri Society of Professional Surveyors, National Society of Professional Surveyors, Oklahoma Society of Professional Surveyors and Texas Society of Professional Surveyors.